Many terms have been used to describe the Nintendo Switch: sleek, stylish, and slim are among the highlights, and those are all good descriptors to have. Unfortunately, the flip side of that coin reveals common terms that probably wouldn't be used to describe the Switch: stout, substantial, impervious. No worries, though, because like with other handheld consoles, the Switch is spoiled for choice when it comes to protective covers and cases. Read on to discover our picks for the Best Nintendo Switch Cases. Basic device protection often boils down to a simple plastic case, and for handheld consoles, transparent plastic is by far the most popular choice. Kungber's Anti-Scratch Hard Back Case for Nintendo Switch ($9.99 via Amazon) serves basic protection needs with a three-part design that sees the Switch console as well as both Joy-Con controllers getting their own transparent housing. The design has also considered common case design issues, and features raised edges to protect the Joy-Con shoulder buttons as well as a cutout for the Switch's kickstand. Since the Switch console itself has a design that's largely indistinguishable from modern tablets, it makes sense that companies would release a flip-style case that mirrors common tablet case designs. 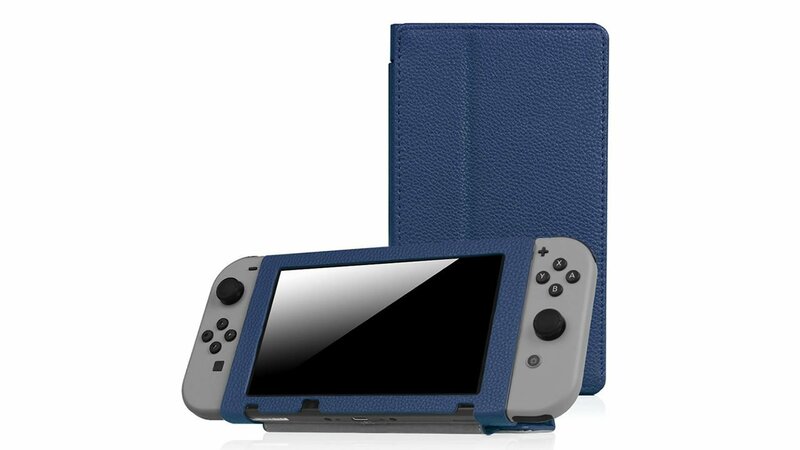 Fintie's Protective Case for Nintendo Switch (Navy style shown, $13.99 via Amazon) provides all the basic protection Switch owners need in a case with a stylish PU leather finish. Unlike with other cases, the flip case style means the Switch's screen will be well protected when not in use. There's one caveat, though: Fintie's case doesn't allow users to use the Switch's kickstand. It does, however, provide its own integrated stand, which should be more than adequate for Tabletop Mode gaming sessions. 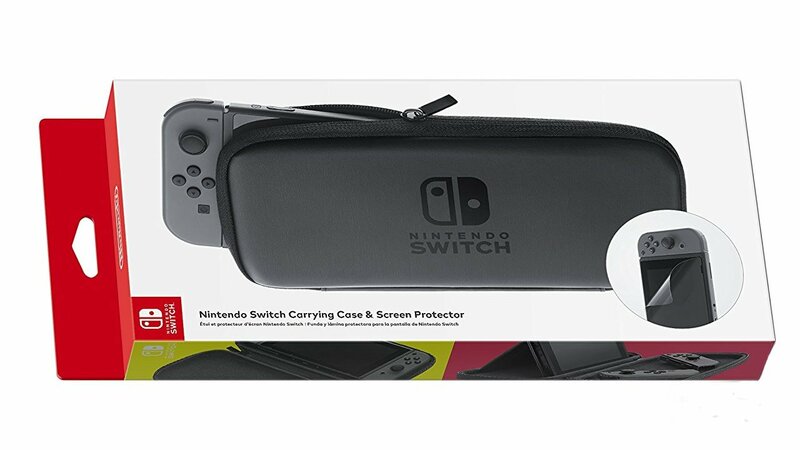 Nintendo themselves make their own Nintendo Switch carrying case, and, wouldn't you know it, they're extremely hard to find. Normally retailing for $24.99, the Nintendo Switch Carrying Case ($44.94 via Amazon) provides a no-frills approach to case design, though it does have a sharp Nintendo Switch logo emblazoned on the top. Unfortunately, its rarity has driven up its price, meaning users will pay 5 to 25 dollars or more for Nintendo's own solution when compared to other offically-licensed alternatives like the next case on our list. The RDS Industries Inc. Nintendo Switch Game Traveler Travel Case ($24.50 via Amazon) is perhaps one of the most popular cases on the market, both for its low price point and its status as an officially-licensed Nintendo product. 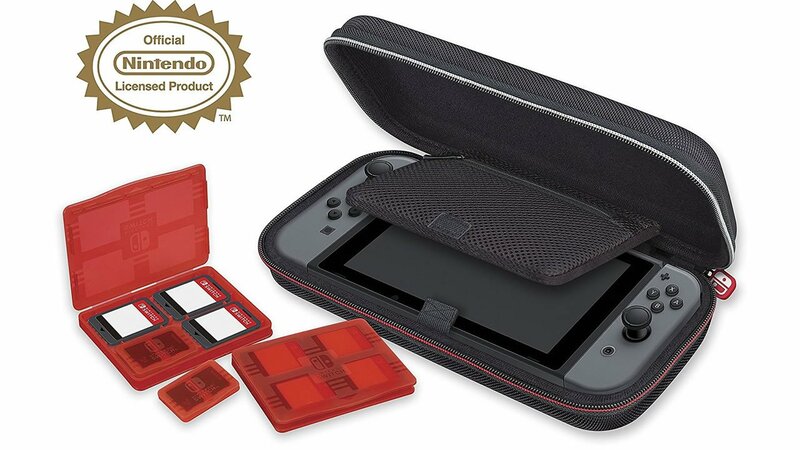 The semi-hard-shell case features a padded compartment for the Switch console with Joy-Cons attached with a soft divider that works as a screen protector, and it also comes with two game card cases as well as two micro SD card cases. 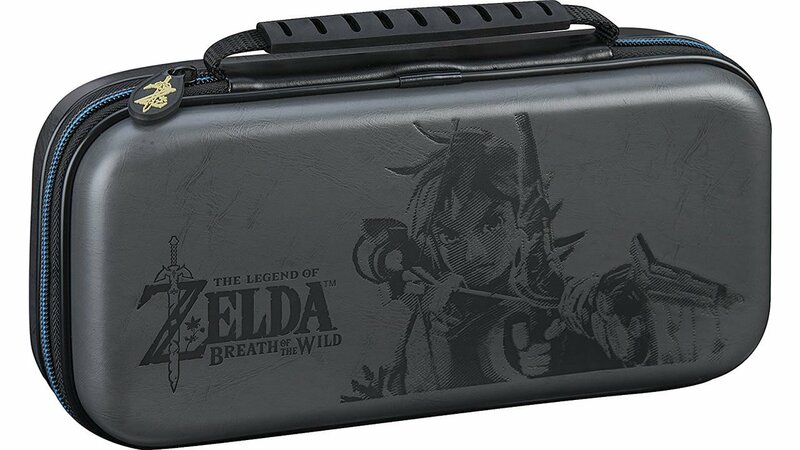 Even better, the RDS Game Traveler comes in several different style options, including black (pictured), blue and grey Link designs (grey option shown up top), and blue and grey Sheikah Eye designs -- and all four of those are about 5 dollars cheaper than the plain black case. 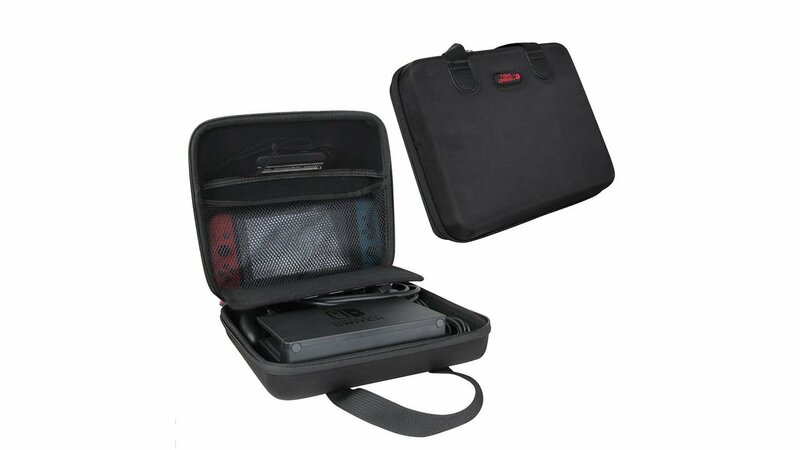 As the name suggests, travel cases are well-suited for individuals traveling with their Nintendo Switch. However, most travel cases on the market have only considered the needs of a portable system, not the handheld/home hybrid design of the Switch. 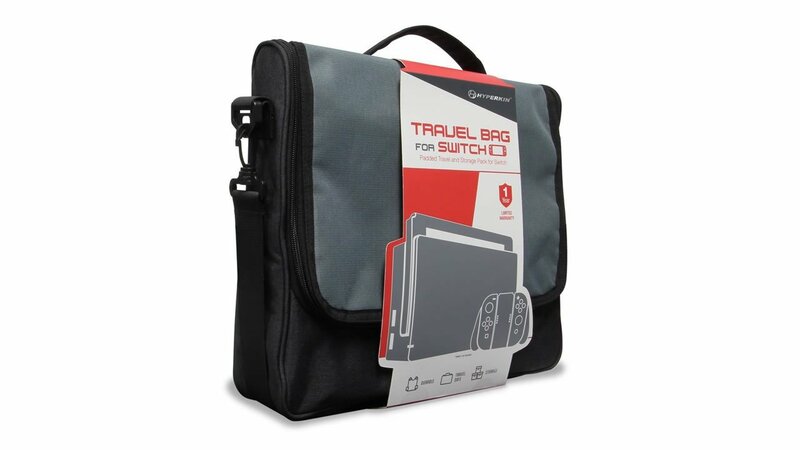 That's not the case for the Hyperkin Travel Bag for Nintendo Switch ($23.80 via Amazon) — it's a case that's been designed to conveniently carry the Switch as well as all of its crucial necessities, including the console, both Joy-Cons, the Joy-Con Grip or the Pro Controller, and all the relevant cables. And, assuming players don't mind leaving the Joy-Con Grip or Pro Controller at home, it should be able to store the Switch dock, too. Like with Hyperkin's Travel Bag, the Hermitshell EVA Travel Case for Nintendo Switch ($17.99 via Amazon) is designed with the total Nintendo Switch system in mind. 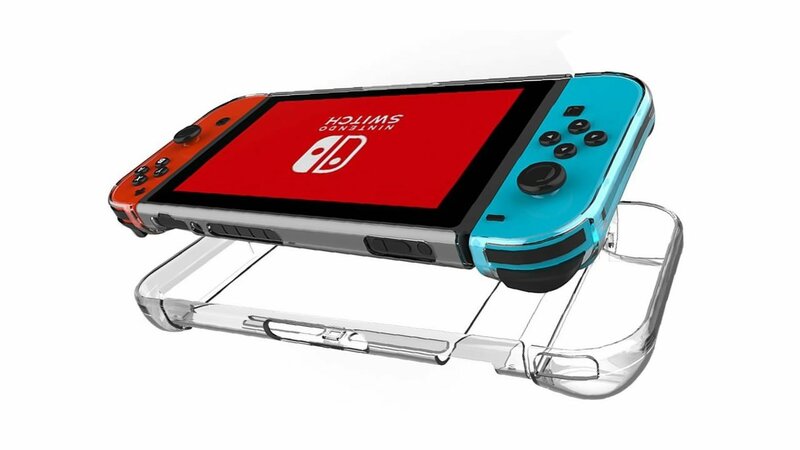 Unlike the competition, though, Hermitshell's offering includes a dedicated place for the Switch's dock while still providing enough room for the Joy-Con Grip or a Pro Controller. It also includes seven little mesh pockets designed to hold games, and its EVA construction should prove to be more durable than Hyperkin's suspended-pockets design.